Wow. You've actually managed to make an exciting, fresh design in a sea of pilot watches. Let's get this thing Kickstarted already! I think the movement choice is totally fine. Keeps the cost down unless you're looking to compete with IWC, Omega etc. If you don't like the counterweight for the hands (I actually really do!) may I suggests something like the IWC 3717 center seconds. It's a great design that is not quite as bold while accomplishing the same goal. Nice design. 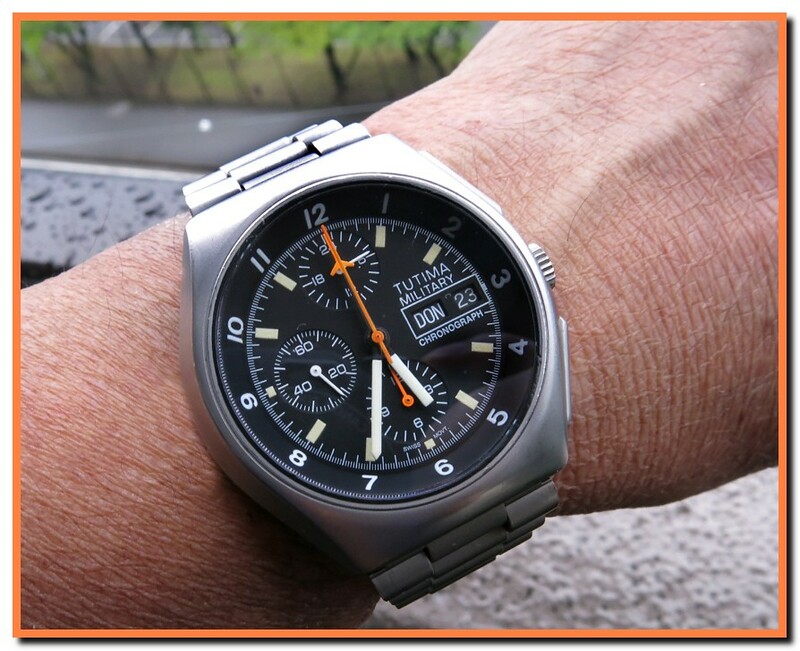 I'm not a pilot but did buy and love the 1985 Tutima Military chrono with the Lemania 5100. Would your design make a difference with a orange tipped minute hand? longstride, Spring-Diver and AlexRomans8 like this. As beauty, perfection is in the eye of the beholder. If you can't find it you make it. Good job. 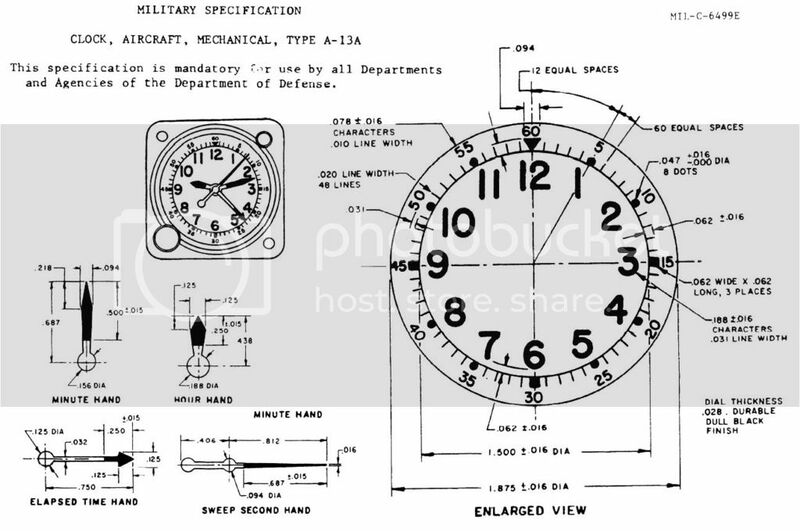 .... may I suggests something like the IWC 3717 center seconds. It's a great design that is not quite as bold while accomplishing the same goal. Both hands shall meet a maximum unbalance of 0,057microNm AND the total mass of the hands (including paint and superluminova) shall not exceed 15 micrograms. This translates into a maximum offset of the center of gravity of the hands from the their center of rotation of only 0.38 mm! So both hands need to be fully counterweighted and made in aluminum instead of brass. It has been my largest headache. In answer to Turbojoly and Gerry question in "Timepiece in the cockpit:pics thread", I've started this project with the aim to make my own watch. I had quite a lot of requests to make a small lot but very honestly I made no evaluation on the matter and honestly I even didn't make any cost analysis. It was not the purpose of my project. Having said that, I think I will first finalize the design (new hands, new crown, new back case...) just to see how close I can get to my original idea, then we'll see. 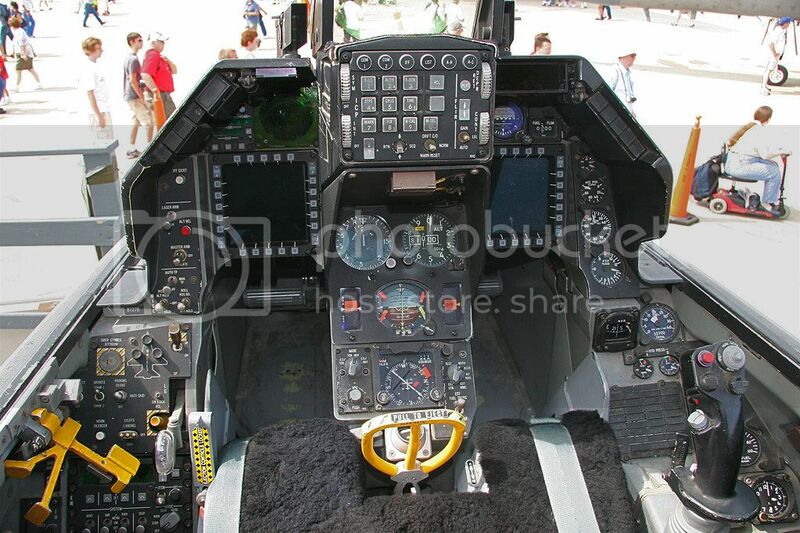 For whom not familiar with the Aircraft Clock A-13A, you can find it on the bottom right corner of this F-16 cockpit pic. lvt, gerrya, Hunterfate and 6 others like this. As an Aircraft Technician for over 30 years and starting out in the Air Force and loving watches I am always looking for the perfect watch to bring what I do to my wrist, and this would be it! There are some that are close like Sinn, Bell and Ross, etc, but this is a mini A13 for the wrist, and truly an original idea. Thanks for sharing, and keep us posted on your project. Last edited by gerrya; March 3rd, 2016 at 15:29. Looks great! You're obviously considering making more than 1, right? Depending on price, I may be interested in one for myself. Let me know! Yours is a beautiful design. Among your considerations, it there a UTC movement you would consider? TimeOnTarget, Piloto, Leekster and 2 others like this. Congratulations on your imagination, technical knowledge, attention to details and energy to finish this very interesting project. Can't wait to see the final version of the watch.